It’s past time for companies to begin their digital transformation efforts in earnest. Those companies who have taken advantage of advancements in cloud computing via Artificial Intelligence technology have been able to enhance their customers’ experience, improve decision making and impact the bottom line. We can’t underestimate the impact customer experience will have on revenue. For example, Forrester suggesting that 30 percent of companies will see declines in customer experience performance in 2018, which will translate into a net loss of a point of growth. Yet some companies still do not understand the urgency and potential benefits of digital transformation. Approximately one-fourth of CEOs will fail to implement timely digital transformation efforts in 2018, and they find themselves growing exponentially further behind their competitors when it comes to overall efficiency and effectiveness -- a difference that will also be apparent to customers. Additionally, 59 percent of companies remain at a "digital impasse," or an early stage of digital transformation maturity, where they have seen little benefit from their efforts. 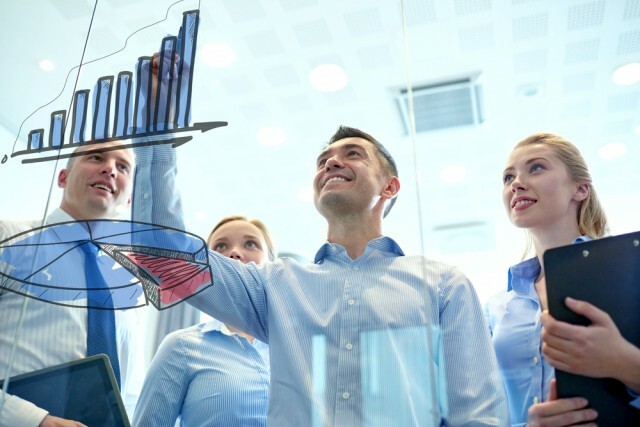 Before moving away from static dashboards to providing actionable insights can begin, building a solid data foundation -- including data quality and timeliness, harmonized data, and increased privacy and security -- is an essential first step to ensuring the success of any analytics or BI platform integration. Implementing actionable analytics in particular requires the correct groundwork for users to efficiently sift through data and utilize insights. It is not enough to introduce an analytics tool; deploying an embedded solution that offers a single pane of glass is the best way to maximize the value of the analytics and ensure adoption and action. Asking employees to leave their work environment to find static dashboards has not proven to be effective. Only when personalized and contextualized insights are embedded into the application can employees more easily understand how actions will affect the business. Actions can then be taken more quickly to address issues or make changes that can lead to better outcomes which in turn can be measured. Even better, use machine learning to provide suggested actions or even automate repeatable tasks. Algorithms are far better than we are at recognizing patterns and cataloguing likely outcomes or next steps, so put these capabilities -- and the data you’re collecting -- to work. Predictive analytics can improve almost every operation by using historical data to recognize potential fraud, reduce risk, and set prices and manage inventory. Once companies begin using predictive analytics, they’ll find they are responding to patterns in a smart way earlier than they could have before, saving valuable time and resources. This is particularly essential for situations when employees must use past information to make a current recommendation, like adjusters processing an insurance claim. With predictive analytics, these employees can access objective data-based recommendations and more informed, and less biased decisions. Once predictive analytics are in place, build on its abilities by introducing machine learning to analyze current data and determine the most effective response. For processes like monitoring patient health in real time, predicting when motion sensors are likely to fail, or creating alerts for early signs of fraud, machine learning enables companies to completely automate the next steps based on the algorithm’s predicted outcome. Most companies also have a number of tasks and processes that are done manually and routinely but do not require much skill. Automating these time-consuming tasks enables employees to then focus on high-value decisions that lead the company to greater growth and better returns. Once these foundational steps are in place, it becomes easier to advance digital transformation efforts and capture the value and increased efficiency. Of course, time is of the essence. Competitors can easily disrupt the status quo, as we’ve seen with industries such as ride sharing and in financial services and retail. Delaying any longer could put companies at a distinct disadvantage that they may never overcome. Roman Stanek is a passionate entrepreneur and industry thought leader with over 20 years of high-tech experience. His latest venture, GoodData, was founded in 2007 with the mission to disrupt the business intelligence space and monetize big data. Prior to GoodData, Roman was Founder and CEO of NetBeans, the leading Java development environment (acquired by Sun Microsystems in 1999) and Systinet, a leading SOA governance platform (acquired by Mercury Interactive, later Hewlett Packard, in 2006).